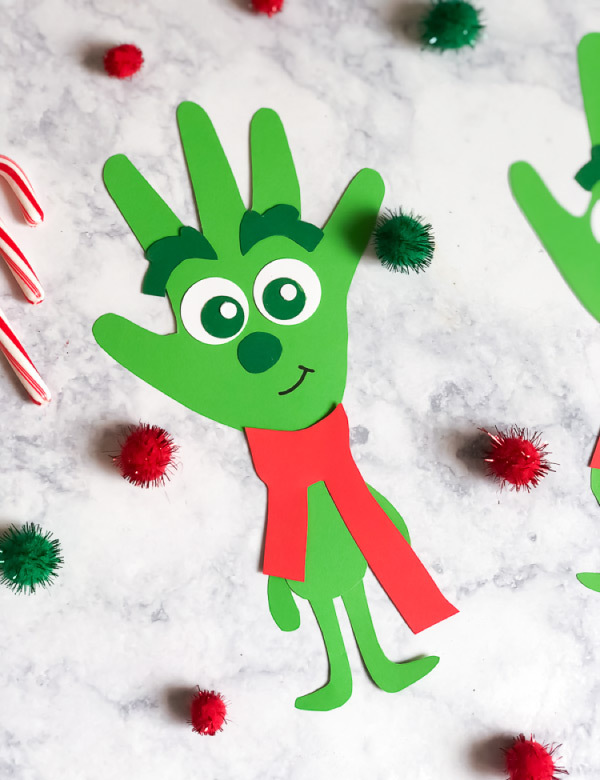 Inside: Celebrate the holiday season and the release of the newest Grinch movie with this young Grinch handprint craft for Christmas. The Grinch is a classic Christmas movie no matter which version is your favorite. If we’re talking about it, I’d definitely say the original How The Grinch Stole Christmas is my favorite. There’s just something about that old time feel, that makes it a must-see during the Christmas season. Shockingly, my family and I loved the new Grinch movie too! It was heartwarming and cute, so if you haven’t seen it, I’d recommend you do. 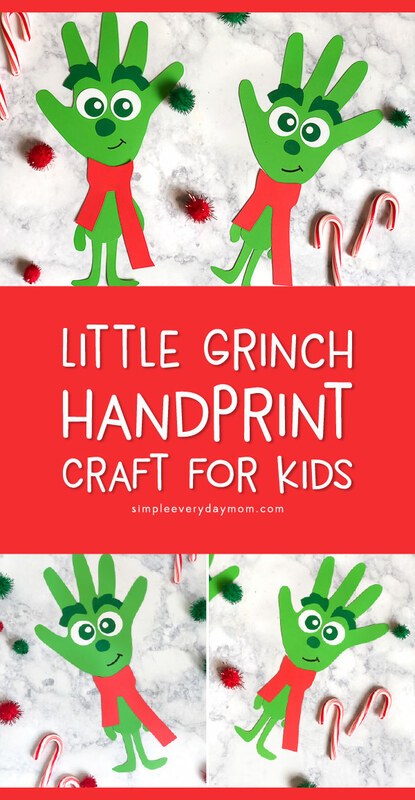 This Christmas handprint craft is a spin-off of the cute little child Grinch they portray in the movie. Read on below to see how to create this little cutie with your kids! 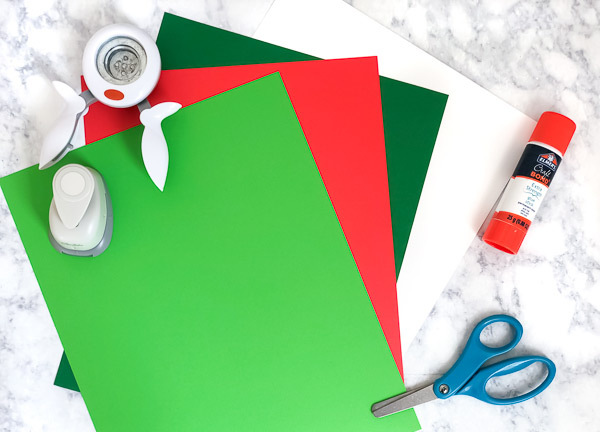 Download and print the Grinch template onto white cardstock. Cut out the pieces of the template. Trace the pieces onto the light green and red cardstock and cut out. 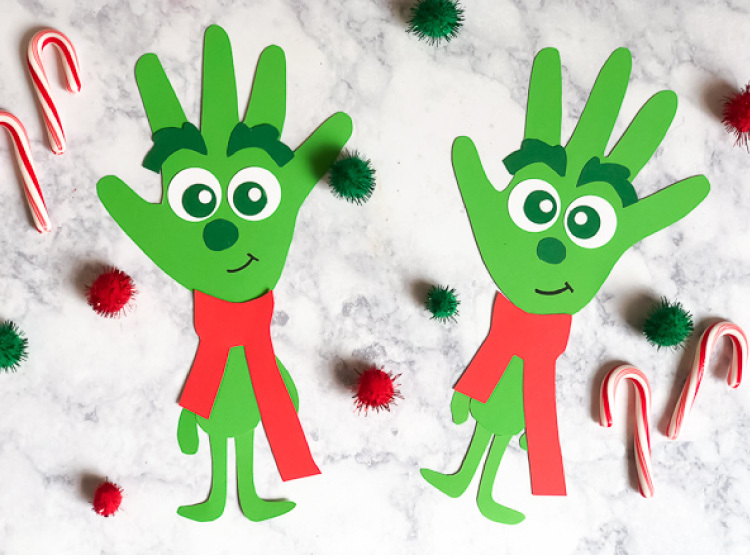 Assemble the Grinch body by using the glue stick to attach the feet onto the back of the Grinch body and the arms behind the body. 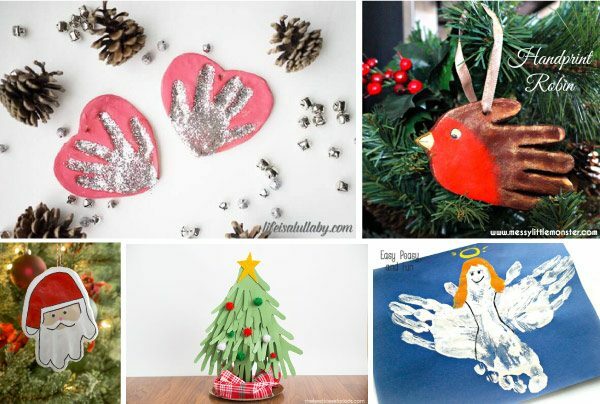 Trace your child’s hand on a piece of light green cardstock and cut out. 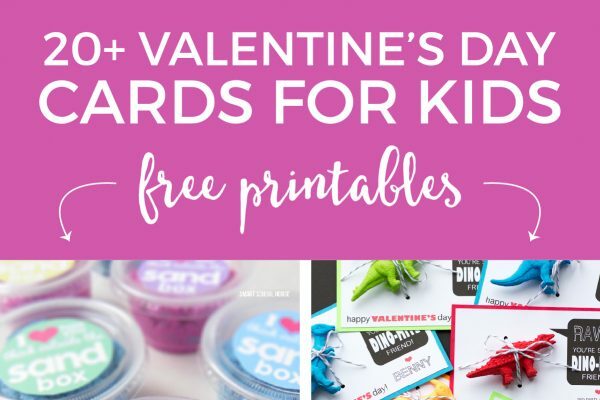 Using the 1″ circle punch, punch out 2 circles from the white cardstock. Using the .5″ punch, punch out 2 circles from the dark green cardstock. Use the standard hole punch to punch out 2 circles on the white cardstock. Assemble the Grinch’s eyes by gluing the small white circles onto the dark green circles. Glue these onto the large white circles. Make the Grinch’s face by gluing the eyebrows onto the very top of the palm. Next, glue the eyes and nose into place. Using a black marker, draw a smile below the nose. Glue the Grinch’s body behind the handprint head, then attach the scarf by gluing it to the top of the Grinch’s body. 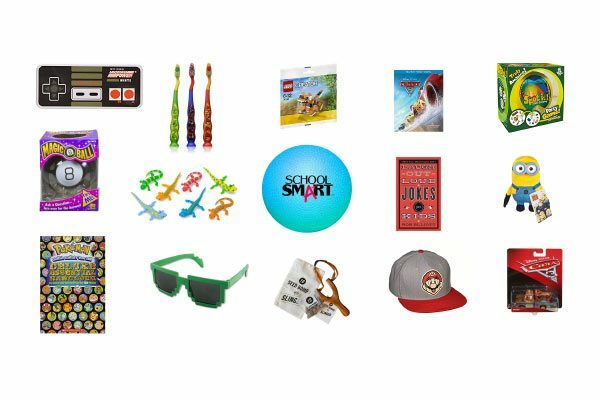 Your kids are going to love this cute little kid Grinch character! 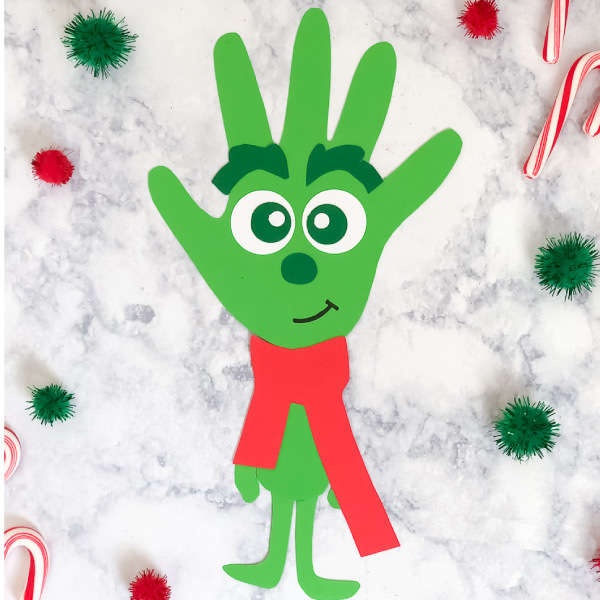 Don’t forget to enter your email in the form at the end of this post to get the Grinch template link emailed to you. I have been trying to get the download for the Grinch be and when I send my email I don’t get anything. 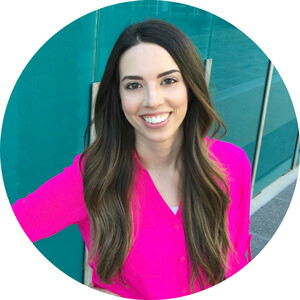 I am a child care provider and would love to make with my kids. Hi Mary Lou! I checked your email and it says my email bounced back…Can you verify your email by emailing me at [email protected] so I can send it to you? Thanks!